Motivating Employees – 3 Top Tips by gThankYou! Ask any CEO and they’ll tell you that employee motivation is a key factor when it comes to not just an individual’s performance, but also group productivity. A motivated team helps on many fronts; a more pleasant working office environment, supporting company values and increasing productivity to name just a few. So how do you keep your employees motivated? 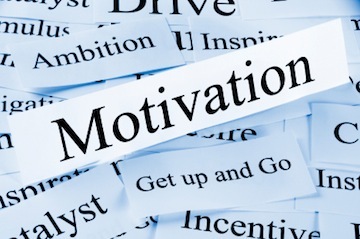 We’ve decided to help inspire you with the top three tips for employee motivation. And here’s a secret; employee recognition doesn’t have to cost you anything! Make your business goals transparent and share these goals openly with your employees; that way they’ll feel like part of the bigger picture, and not just an unimportant cog in the overall works of your business. This breaks down the information hierarchy common in many companies, as all staff leaves having the same understanding of everything that’s going on. Don’t just make them aware of your goals – actively involve them in solving business issues. This will be to your benefit as well as theirs, as they might be able to answer questions that you’ve been unable to solve yourself. Giving these responsibilities and open communication allow your employees to feel like they’re participating in improving their work and expanding their career horizons; in turn, they’ll feel better about themselves and be more motivated. You many not be able to make everyone’s work more interesting, but you can find ways to make being at work more fun. Crowd source the team building exercises for the next team meeting or give camera’s to employees and challenge them to take pictures of what’s “right” about work – then make a big collage of them and hang it in a public place. Get employees involved, they will be grateful. You can do this by recognizing and rewarding good work and achievements when they happen. Say ‘thank you’ often, and show you appreciate them face-to-face; be friendly and sincere. This will help you to build a culture of respect and employee recognition within your business environment. Many companies recognize the power of engaging employees to nominate and reward their peers. 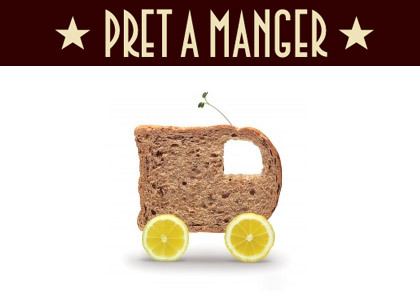 At Pret A Manger, “employees can nominate colleagues for our awards, and the participation is extraordinary” says Harpham. Why not give new hires gift certificates or cash to gift back to those who helped them most to learn the ropes? A good place to start is to provide managers with a “tool kit” of recognition items to use in the moment when the need to recognize great work arises. It could be as simple as your own company version of “Wow” Cards and the ability to share nominal gifts for occasions of special effort. If your team has certain goals, why not make a chart to help track these as they are gradually achieved? Have employees work out the “how” and “when” milestones and build in the recognition rewards they want along the way. With that in mind, why not get started motivating your employees today? Download Your FREE Employee Gift Guide Now!